* ​Front desk support with appointment scheduling and reminder calls. * Back bar is stocked with professional products. ​*​ Large retail area stocked with Moroccan Oil, Aquage, Fave4, and Schwarzkopf. * Fresh brewed coffee available for our clients. * Your photograph and bio is listed on our website. * Complimentary Wi-Fi for clients. ​* Professional, but friendly atmosphere. ​* Break room with a refrigerator, microwave and sink. ​* Free parking for you and our clients. We have openings for 2 stylists. We are looking for both full time and part time employees. * 5+ Years of Hair Styling experience. * Strong customer service, communication and interpersonal skills. * Current clientele base preferred, but not required. * If you are contacted to come in for an interview, please bring your resume, copy of your license, your stylist equipment, and a model to do a partial highlight and layered hair cut. 4. The subject of the email should be written as: Your Name / Position Wanted. 1. Please dress appropriately for your wanted position and as you would if you were working in the salon. 2. Complete the interview form and the Q&A form below and bring it with you to the interview along with your resume. 3. If you haven't already provided references, please bring a your references sheet along with you. 4. Be prepared to answer questions regarding your work history, your skills and knowledge of the business. 5. Please note that we are in the process of building the salon, therefore the interview may be at a different location. Please feel free to stop by the salon location and see the progress we are making. 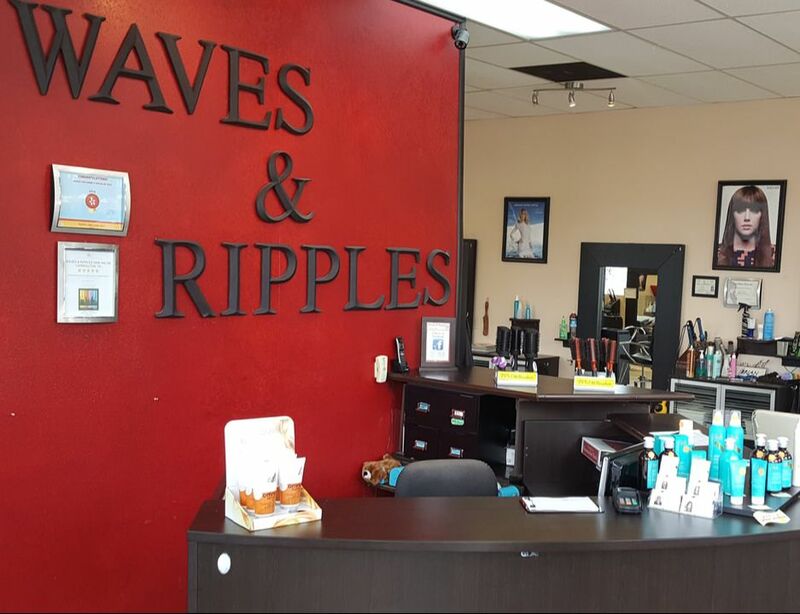 Signing bonus is paid to those that bring a clientele of 40 or more current clients to the Waves & Ripples. Signing Bonus value and payment details when be explained upon interview.